Photo: DFID. Creative Commons BY (cropped). 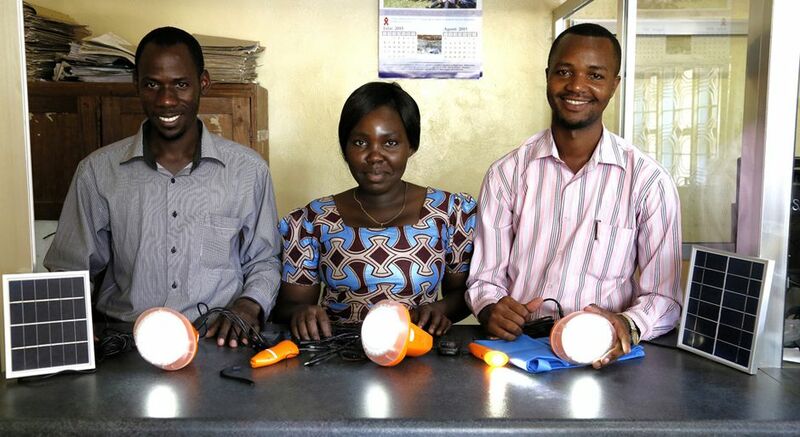 Before solar panels were installed at Masaki village’s only health centre, doctors, nurses and midwives had to use dim flashlights or the glow from their cellphones to deliver babies and treat night-time emergencies. In one case in 2010, a man arrived late after a motorcycle accident and needed a wound stitching. As the nurse began the procedure by the light of her torch, she felt a cold slithering sensation against her legs. A large black snake was moving across the dark, cement floor. The nurse fled, leaving the patient in the dark with the snake. 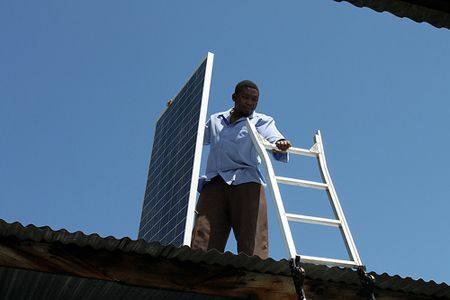 The work of the centre, which is five hours drive down a dirt track from the capital Dar es Salaam and serves a population of 1.5 million people in surrounding villages, is now transformed by a two kilowatt solar array installed on the roof at a cost of $15,000 (£9,700). And the government wants many more like it. Photo: Christian Engineers in Development. Creative Commons BY-SA (cropped). In February, it launched its One Million Solar Homes initiative to provide the sun’s power to 1m properties by 2017. 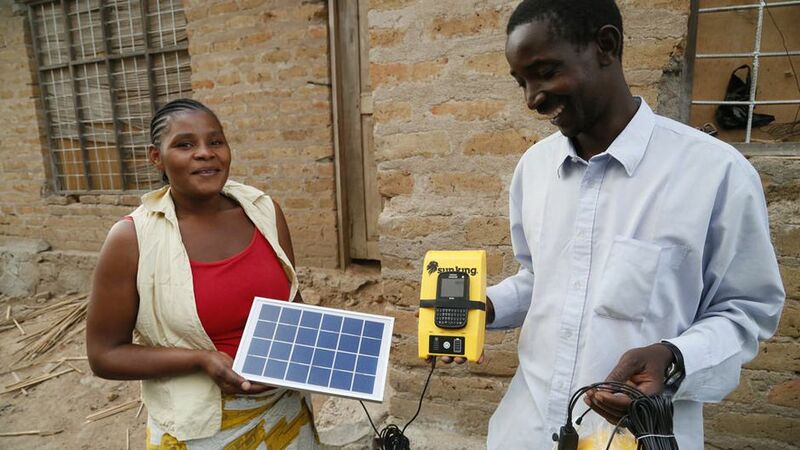 Off Grid Electric, the Tanzanian company implementing the initiative, says it will provide power to 10% of the country’s homes. Currently, only 40% have access to grid power with access particularly sparse in rural areas. The challenge across Africa is daunting. Earlier this year, a report by Kofi Annan’s Africa Progress Panel spelled out that excluding South Africa, which generates half the region’s electricity, sub-Saharan Africa uses less electricity than Spain. It would take the average Tanzanian eight years to use as much electricity as an average European would consume in a single month. The report, titled Power, People, Planet: Seizing Africa’s Energy and Climate Opportunities, called for a 10-fold increase in power generation to provide all Africans with access to electricity by 2030. Photo: PRI’s The World. Creative Commons BY-NC-ND. If this shortfall is made up largely with fossil fuels — particularly coal — then the impact on the world’s climate will be significant. But solar is dropping rapidly in price and starting to compete with traditional forms of energy. World Bank energy data show that it costs 20 cents per kilowatt hour compared to 20 cents for hydropower, 25 cents for fuel oil and 10 cents for coal. Funding for the million homes initiative has come partly from the government’s Rural Energy Agency — which spends $400m a year — and international donors such as the World Bank. And in rural areas, microfinance organisations are now lending to allow householders to by solar panels. The total installation can cost up to $1,000. “People who have small shops no longer close their shops early because they don’t have electricity. They can now operate until late at night. The availability of solar electricity has helped control immigration of people to urban areas,” says alternative energy specialist Dr Brenda Kazimili at the University of Dar es Salaam. 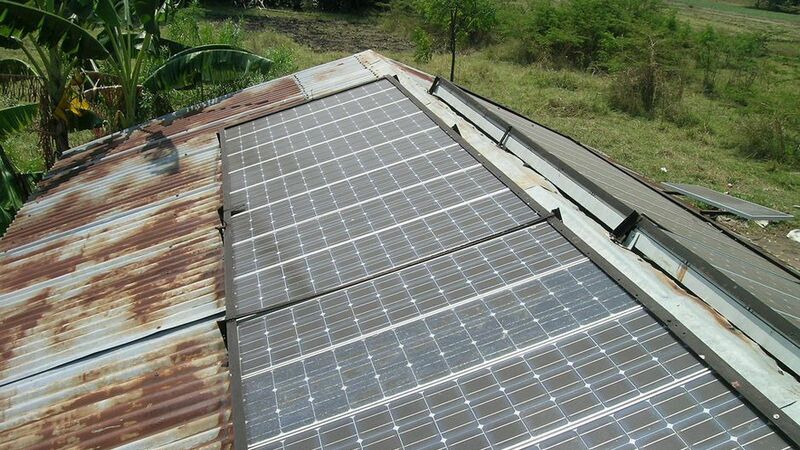 The government now wants all health centres and dispensaries that are not connected to the grid countrywide to be provided with solar panels. Back at Masaki village health centre, the changes were much needed. “We’d begged for so long for solar power at this health centre. Life was unbearable here. We faced so many challenges and it was hard to work at night or do tests that required electricity,” said clinical officer Ahmed Mkamba. Health workers use the power from the solar panels (and the battery installed so that they can use the power at night) to run a computer which keeps patient records, to light the centre’s compound which covers about three or four acres of land and to operate HIV/Aids testing equipment. This means that patients no longer need to be sent to the district hospital 28km away. Erick Kabendera is a freelance journalist based in Dar es Salaam who writes for international and regional publications. Mainly covering Tanzanian politics, trade and extractive industries, he regularly contributes to The EastAfrican, The Africa Report, The Economist Intelligence Unit, Africa Confidential and the global development news agency Inter Press Service.